Get Ready for the 2017 Uconnect Systems and Its New Features! 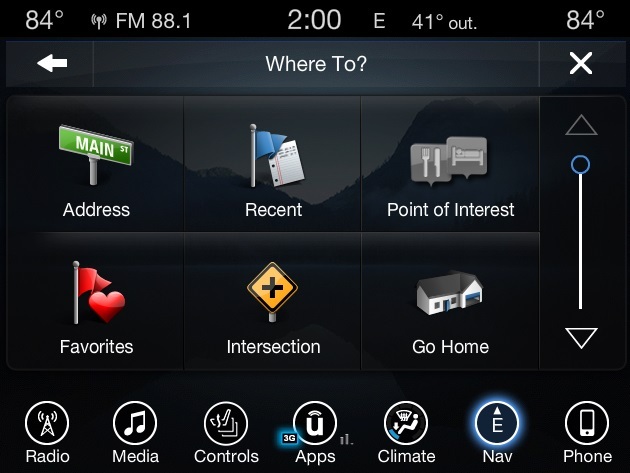 The Uconnect system that Chrysler offers is one of the most robust and popular digital systems available in cars. It represents a new future for state-of-the-art tech inside the vehicle. Fiat-Chrysler recently put out a look at what to expect from it in 2017. The all-new fourth generation Uconnect system will be available for drivers in 2017. The new system aims to add new touchscreen, improvement to performance, and integrating new technologies such as Apple CarPlay and Android Auto. For performance upgrades, 2017 Uconnect will have a faster startup time as well as enhanced processing power. The new 8.4-inch touchscreen will offer multi-touch gestures and improved graphics. It will also support smartphone integration. The new touchscreen on the Uconnect will mimic smartphone usage. Instead of just touching the screen, it will respond to pinching gestures to zoom and unzoom as well as tapping and swiping. As mentioned earlier, Uconnect will also have Apple CarPlay, making it easier to use with iPhones. Android users get Android Auto support which also makes it easier to use your brand of phone in sync with Uconnect. The fourth-generation Uconnect system will be in the 2017 Chrysler 300, Dodge Charger and challenger.